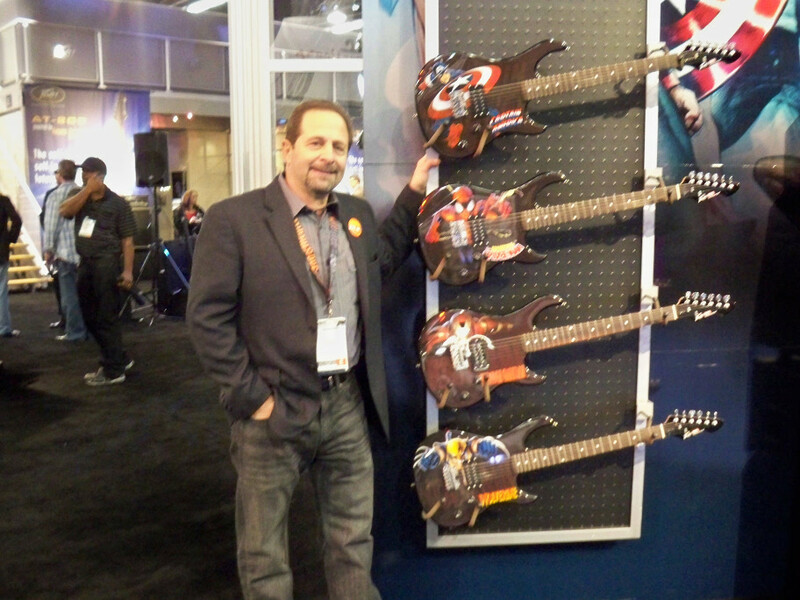 Paul Valenti, our favorite Peavey Factory Rep, with the new Peavey Marvel guitars. JC Music now has the acoustics versions in stock. 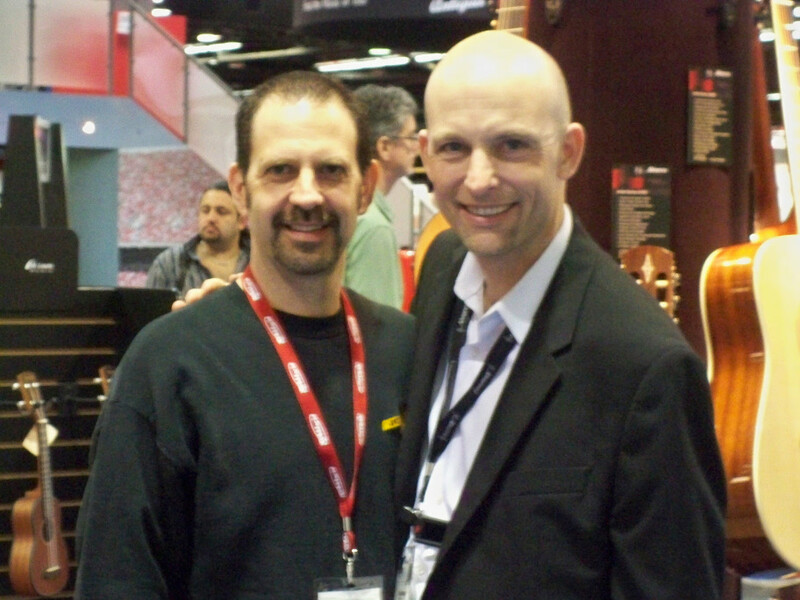 JC with his long time friend Rich Dumstorff who is now Vice President of US Band & Alvarez Guitars. JC with his friends from Veritas. 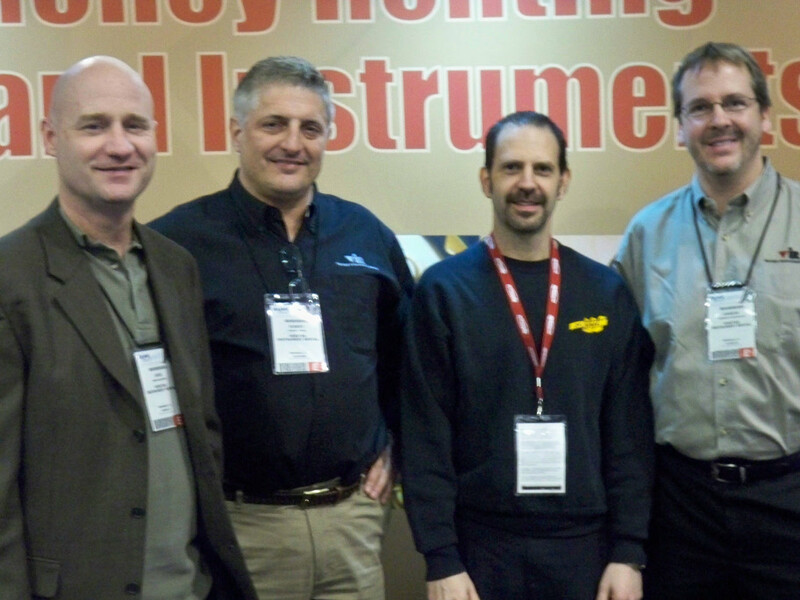 L-R Greg Dolmont, Rob Troke, JC and Dawson Flinchbaugh. 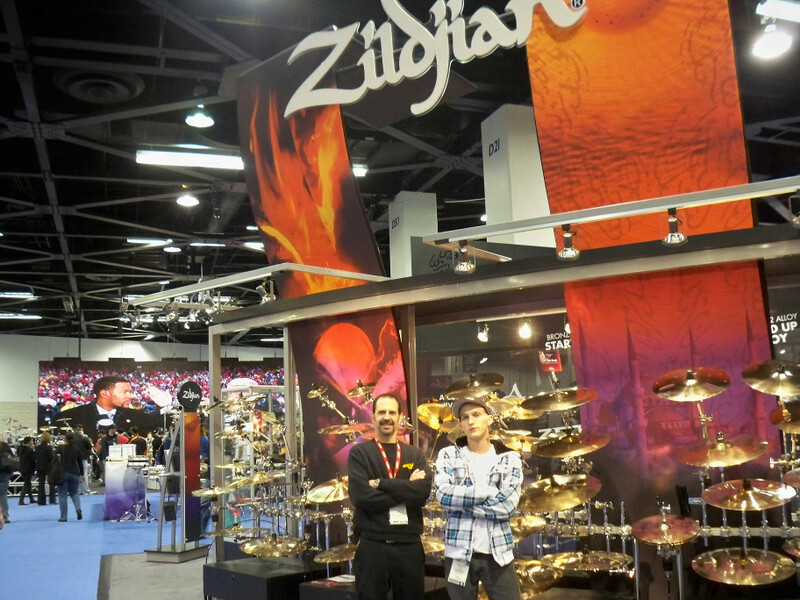 JC and Pete Luft vist the Zildjian crew. ← January Student Showcase Recital Videos!